Sr. Mary Joseph would have turned 92 today, and the sisters in Hanceville would have helped her celebrate with a party and cake (sugar-free, preferably, although this diabetic nun loved candy more than anyone). But we trust she is celebrating in eternity, with far more festivity and joy than this earth can hold. 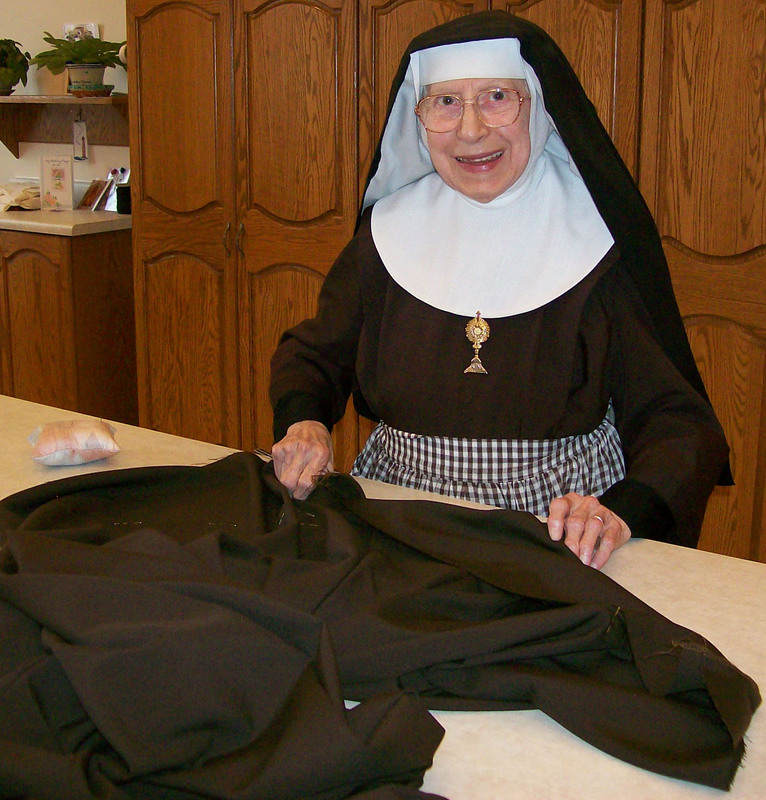 Sr. Mary Joseph of the Eternal Father passed away in 2009, just 4 days after her 87th birthday. She was one of the founding sisters who came down from Ohio with Mother Angelica to begin their mission in the south. Her own vocation began with some air of secrecy and danger – she had to climb out a window and leave home to join the monastery, as she was the only convert to Catholicism in her family, and they didn’t support her decision to become a nun. We remember her phlegmatic temperament – Raymond Arroyo recounts one incident in his biography of Mother Angelica when a mentally ill nun was chasing Mother with a knife! Sr. Joseph remained calm, cool and collected, giving Sr. Angelica a place to hide in her sewing room; her stories and knowledge – she could explain the meaning behind lots of phrases we take for granted, and she loved to recount interesting things she had read; her love of animals, even the smallest kind – she was not happy when she discovered a sticky trap Sr. Elizabeth had set out near the refectory to catch invading ants; but most of all, we remember her kindness, her encouragement and her love for Jesus. She was always praying, and she used to say very often: “God needs only two things: love and littleness.” She was both loving and little. Little in body, humble in spirit, but of great stature in the spiritual life. She lived in union with Jesus, even more so since she was very hard of hearing and never liked to wear hearing aids! Even though you had to speak very loud to have a conversation with Sr. Joseph, you always walked away with a smile, and the sense that you had learned something of God through your interaction with her. 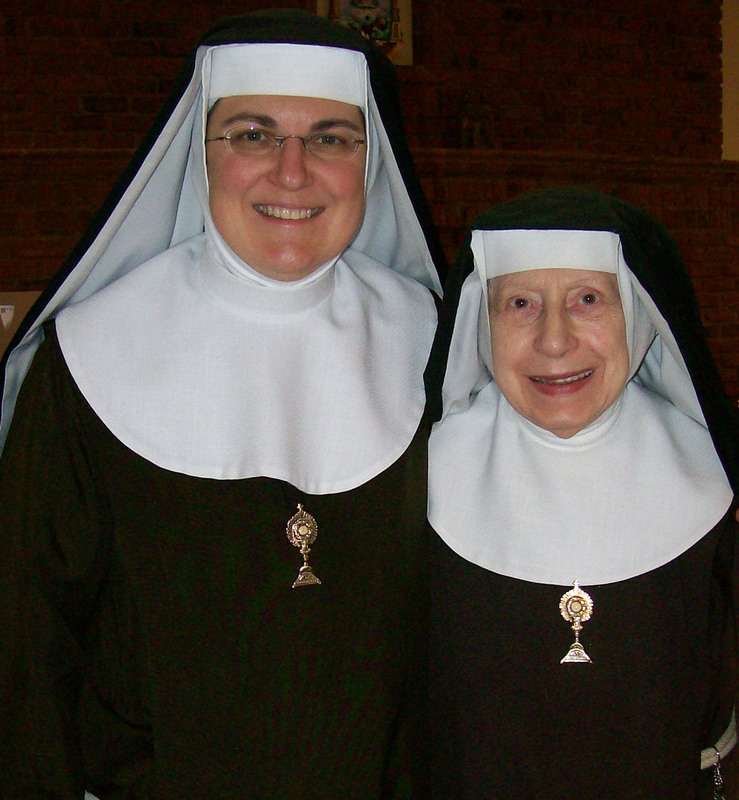 This entry was posted in A Nun's Life and tagged Sr. Mary Joseph PCPA by texasnuns. Bookmark the permalink.